The entire guide will be really wordy, so please utilize the “CTRL+F” function to find what you are looking for. Disclaimer: All information is accurate at the time of publish; any changes and additional suggestions/feedbacks are welcomed. All of the information published is based on either personal opinions or actual game statistics. Please do share the information but give credit when it is due. Thanks! There are 3 main classes to choose from, primarily mage, archer and warrior. 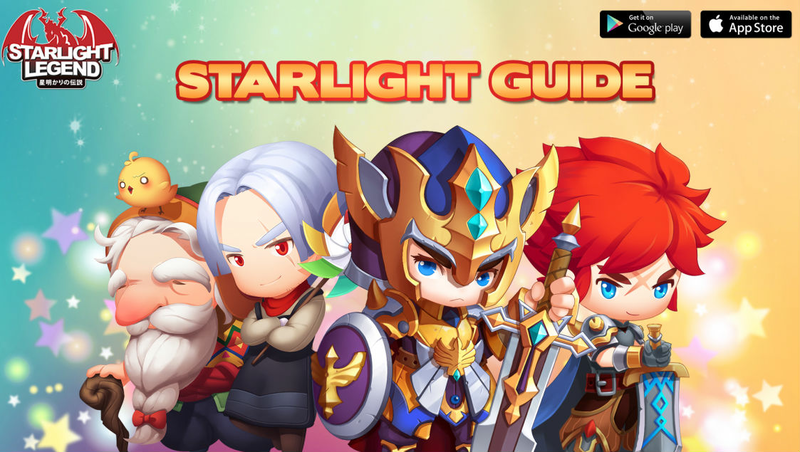 Each class provides a different gameplay experience and plays a different role when it comes to team dungeon or guild war. As a mage, you can easily tank and deal sufficient AOE damage to monsters. If you would like to be an efficient PVM player, I would say mage is the best suitable class. For skills, I would recommend skills Flame Tornado, Arcane Torrent and Armageddon for AoE damage. Alternatively, Arcane Torrent, Frost Nova and Armageddon for single target scenarios. For pets, if you are a free to play player, I would recommend Iron Mushroom, Mech Dragon and Pirate. I would go in details for the positioning under the gameplay section. If you are a pay to play player, I would recommend Infernal Beast to be in the lineup, and any other 2 pets that are accessible to you. You could opt for Fire fox if you could get it, or if not, you can revert back to Iron Mushroom, Mech Dragon or Alpha Ape for the 2 remaining slots. Iron mushroom should always be your guard 1 as it adds the most MATK, on par with mech dragon. Just place the additional yellow pet at guard 2 for PDEF and MDEF boost. For additional stats on equips, I respect the privacy of individual players for their refinery. My personal recommendation is for all equips to have at least 2X MATK and 2X MP stats as it gives damage boost and tank ability. For the remaining stats, it’s up to your discretion to choose. As an archer, it normally has highest attack among the 3 classes, and it has the abilities to case status skill. For pets, if you are a free to play player, I would recommend Alpha Ape, Mech Dragon and Pirate. I would go in details for the positioning under the gameplay section. If you are a pay to play player, I would recommend Infernal Beast to be in the lineup, and any other 2 pets that are accessible to you. For astrology, I would recommend you to get Slaughter (redeemable with 1000 astrology points and yellow courage. Purple star such as destruction, defense and fury is fine too. You should prioritize physical attack and damage %. For skills, I would recommend skills sonic attack, thunderbolt slash and violent windmill before lvl 65. After lvl 65, I would recommend war howl, violent windmill and Dragon Cut. Starting off, I would like to say that this game requires time and consistency to be good at it. The leveling gets slower as you progress but you eventually will get there. Therefore, do not get disheartened when you see stronger players, as they have probably started way earlier. 3) Get married. You deal extra 5% in damage when you are partied together with your couple. What I always do is, get my couple in the same guild as me, and we do team dungeons together. This allows us to clear daily achievements and guild achievements. There are also marriage quests available daily, which gives you extra experience! Win-win situation. You will unlock a gift pack after 66 days too, free items woohoo. 4) Be courteous to everyone. You have no idea how far would this help you in game. If you need help with team dungeons, (especially lvl 73, 78 team dungeon, that is just hard), the stronger players will be more than willing to help the new players out. Not to rude ones though. 5) Get the monthly card. It helps you out in a long way. You can finish up the daily 220 achievement points with it, gives you 120 diamonds daily, and a HP bonus. (Yes, I know it sounds like I’m promoting topping up, but it does give you a huge benefit, and it’s completely optional.) On top of that, it adds to your VIP level! So along the way, as you buy it, you benefit more from VIP level too. 6) Observe how the stronger players play out their stats. I respect their privacy, that’s why I’m not divulging too much on their tricks on boosting force via refine/gems, etc. This is for you to find out, and if you play this game long enough, it’s a no-brainer. 7) Pay attention to their Facebook page. https://www.facebook.com/StarlightLegend.eu/.There will be events on-going time to time, and you never know what could be in store for you! We are talking about sharing posts events, or monthly sign in events. It takes up minimal time and you get rewarded! 8) Get the investment scheme going when you are VIP 2. For 500 diamonds, you get back a lot more diamonds as you progress, giving you a total of 5k diamonds in return! 9) As a VIP 3 or 8, you can also choose to increase the experience given in the EXP valley or Cave of Treasures. Personally, I did it only when I needed the gold, and for experience, I did it up till lvl 65. 10) As a VIP 2 or 7, you can choose to purchase salvage points or altar points in Material Trove or Elf Island. Personally, I did not bother about salvage points because I had enough from offline mode drops. However, I opt for additional altar point everyday as it is really beneficial. However, you can choose to opt for extra salvage points to redeem yellow equips and salvages it for gems! 11) You should check out the achievement tab under bonus, see if you could qualify for any achievements, because… free diamonds. Who doesn’t like it? 12) For your daily trial up to lvl 60, your final round (10) should give you set fragments if you have 5* for it. Personally, I paid diamonds to get 5* for my final round as the fragments escalate my process in getting my full set. 13) For me, to complete my daily 220 achievements, I do all except for gold mine, consume 500 diamonds, skip either boss raid or QnA. You can play around of course. If you chose to use gold mine or consume 500 diamonds, then you can just skip shopping in item shop and raid/QnA. 14) There are certain events that the game hosts that are really beneficial. For example, time sales that sells secret keys, goddess capsules, etc. All these items are normally sold at a cheaper price than they normally are. Take the opportunity to buy them! 15) I think the most important tip is to save diamonds. If you have realized, the payout for 80k total consumption is amazing. Sometimes, it rewards a red star which is only obtainable during events, which is amazing. For enhancing, I would recommend enhancing your weapon, glove, ring and hand in that particular order as it gives you PATK or MATK. The main issue to enhance is the gold needed. I will provide suggestions on how to obtain more gold in section 6.0 where I talk about experience and gold. Be sure to make use of the x10 enhance function. It guarantees at least x1 pass, and it helps a lot since the passing rate could be as low as 1% at higher levels. Do not rush into enhancing your items. Always keep some spare gold for your item shop purchases (to complete your daily), and make sure that you have sufficient enhance crystal. The game system will prompt you if you do not have sufficient gold or crystal to enhance x10. Needless to say, this is where you redeem the set item equipment. For level 1 set, you require 5 green fragments and 50 reputation points for each piece. For level 40 set, you require 20 green fragments and 200 reputation points for each piece. For level 50 set, you require 10 blue fragments and 400 reputation points for each piece. For level 60 set, you require 30 blue fragments and 800 reputation points for each piece. For level 70 set, you require 20 purple fragments and 1600 reputation points for each piece. For level 80 set, you require 40 purple fragments and 2800 reputation points for each piece. For inlay gems, as it varies on which gems you can get, try for PDEF, MDEF, HP and MANA gems. These gems could be bought in the guild shop. If you could get PATK/MATK gems, that is a good plus as it gives you damage. Certain total consume event gives you inlay gems too! Keep a lookout for it, and spend diamonds to get those high level gems! For combine, it is used to combine stones that can be used to place within equipment. It can be used alongside with magical dust which prevents gems from being broken while combining them. Alternatively, you can use a supportive gem which increases the chance of successfully combining gems. You should use gems that you don’t need for your job. For example, if you are a mage, you could use PATK gems as supportive gems as you don’t need them. Refining is a must when it comes to long term of playing. It consumes a lot of diamonds during the process but it will be worthwhile. It allows you to increase your MATK/PATK and increases your stats for survivability if you chose to. The refine function allows you to freely choose which stats you are looking to upgrade. You get 03x free refine every day when the game resets at 0000HR (GMT+8). Bear in mind that these free refines work well at first, giving you random stats, however, it will reach a point when it will decrease more often than it increases. When it reaches the above mentioned tipping point, it would be better to lock the stats and refine. Having a pet boosts your stats tremendously if done correctly. For guard position 1, it adds MATK and PATK, and for guard position 2, it adds MDEF and PDEF. Needless to say, only mages require MATK and archer/warrior requires PATK. With regards to which pet is to be placed in which position, it depends on the different pets that you have. Elite – It gives you grade B to SS fragments which you can sell if you don’t need them, and then exchange for the appropriate fragment that you need. It also gives you primary active genes which you can exchange at a ratio of 6:1 for medium active genes, and upgrade your pet quality with it. Epic – You have a free draw every day when the game resets at 0000HR (GMT+8). It gives you grade B – AA pets, and if you already have that pet, it gives you the corresponding fragments. My recommendation is to sell them too if you don’t need them, and exchange for what you need. If you are lucky, you get medium active genes too. It can also be used to exchange at a ratio of 6:1 to advanced active genes for upgrading of pet quality. Legendary – For this, you require 1980 diamonds to draw. I would recommend newcomers to draw this if they have diamonds to do so. It guarantees you a grade S pet, which is really helpful for your guard positions. A gentle reminder is that, you are not able to draw mech dragon, infernal beast, shichibukai and ninetail fairy from it. If you draw the same pet, you will get the corresponding pet fragment, such as Alpha Ape, Black Devil or Iron Mushroom. As different players’ pets will progress at a different rate, for e.g. infernal beasts that requires 40 altar points instead of 16, you have to pay attention to how much stats boost each pets gives you. You can check the amount of stats boost it gives under Pet > Stats > Evolve. Effect 2 will only be unlocked when the pet quality is blue. You just have to ensure that the optimal boost should be placed at the appropriate positions, to give you the maximum increase in force value. However, the positions are not fixed, and it’s up to you to choose which pet to use, either for stats boost or their support skill. Furthermore, there are certain pets that gives you great boosts in damage, for example cupid and fire kirin. There could be placed in positions to help you for team dungeons or demonic realms. Alternatively, immortal fox is a good substitute in arena too as it helps you lowers your opponent damage. Do not feel as though positions are fixed. Just play around with it to maximize your damage output. For pet quality, different grade pet will require different amount of active genes. This feature is available when you hit level 80, pet must be level 60, purple quality and 6 stars or above. It gives additional stats to your pets which could be helpful. Basically the process is, do forbidden zone every day, accumulate 100 S-shard, exchange it for an lvl 1 S-stone (remember to tick master as it gives you 100% chance to produce one), then head over to produce a soul for your pet. To level your pet souls, use S-crystals that are obtainable from dailies, forbidden zone or by retrieving spare lvl 1 pet souls. As you do not have a supporting soul yet, just produce one first. It’s up to you what additional stats you want your pets to have. Personally I chose HP for my combat pet so it tanks more. Once done, level the soul to lvl 30, but this time round, insert your currentlvl 30 soul as supporting soul as it increases the quality when you produce a new one. If it has your desired stats, you can choose to lock it too! You can get higher level S-stones from events, which lvl 4 stones produce mutant souls (better stats). You can keep a lookout for those during events such as time sales. Let’s start on Astrology, where we begin getting our stars. Advanced – Basically you are able to obtain all the primary stars which aregreen, blue and purple quality. You could build up your primary astrology line up with advanced draw as you get multiple star codex every day. I would recommend destruction (damage %) and fury (Critical dmg %) as purple stars, whereas the rest should be of yellow quality. Extreme – You have a free draw every day when the game resets at 0000HR (GMT+8). It gives you purple and yellow quality stars. Even though the chance of drawing a yellow quality star is low, but there is still a likelihood of obtaining what you need from extreme. 10 times – For this, you require 2600 diamonds to draw. You are able to view a catalog under the draw button to see what is available. Basically the 10 times draws 10 times of an extreme draw, but from what players are experiencing, you get an average of 2-3 yellow stars, whereas the rest are microcosm. It is definitely worth it to draw if you have the spare diamonds to do. However, there are occasional events that are tied alongside with drawing of 10 times. Therefore, you might want to wait for an astrology event and entitle yourself to more rewards! Each time you summon a Star, you will get redemption star point. With these points, you can redeem the gold stars that are available. I highly recommend that you go for MATK/PATK % first, before going for HP/MP Increase %. The end game would be the red stars, which requires 8000 points! The stats are insanely good, and it’s up to you to choose. Alternatively, certain total consume event gives red stars too! You might consider getting one from events instead! This is probably obtainable in a day after you finish up all your quests + daily rounds + anything else that could be completed. It is an easy rush to lvl 30 and you shouldn’t have any worries at this stage. The only problem that you may encounter is the lack of potions. I will highly recommend you to use 10 diamonds to purchase the potions from the item shop instead of using coins. Coins at this stage are crucial in enhancing your equipment, which gives you damage and survivability against monsters. As a bonus, this is the best level range to get your VIP privileges as you can get items from the VIP privilege gift bag, and can opt to purchase the additional gift bag with diamonds. The items included will definitely add a starting boost for starts alongside with the first top-up bonus! This level range has nothing much to do either, apart from saving diamonds and enhancing your equips. In addition to this level range, once you hit lvl 30, you should use your salvage points (obtained by salvaging spare equipment), and redeem a full set for lvl 30. You should see a huge change in force value as you get stronger! The key difference is that you are able to grind potions easily by camping at Sky Sand 1. You can auto attack at the goblin spawn area and farm potions there. (That’s why I did anyway, got a decent amount there). Furthermore, it’s time to change your equipment to a set! After all these while of saving up your fragments, it’s time to get the lvl 40 set! You will probably only get the full set around lvl 45? It varies for different players as it depends on luck whether you will get fragments while salvaging yellow equipment. Remember how I talk about refining? Yes, at this point, you are now able to refine. Keep in mind that whenever you equip new equipment now, it will ask you whether you want to inherit the additional stats. You should only check the box if your previous equipment has better stats. For example, refined equipment definitely has better stats, so if you are changing from an lvl 50 equip with refined additional stats to level 60 equipment, check that box. However, if you just leveled up to 50, do not check that box as the additional stats for level 50 equipment should be better. That is on the assumption that you did not refine your level 40 equips. In addition, you should do most of your refining here, as it is the cheapest! By then, you should already be a pro in this game, and most of the player at this range would not be even reading this segment. But if you still like a tip, well, grinding at Dean’s office gives you a ton of potions and it’s the place for level 4 adventure chests. You should be able to get your full set around level 64? For set equipment, as I have mentioned in the lvl 41-50 range, that you are probably only getting the full set around lvl 45? It is the same with the other level ranges. It is tough to be able to exchange the full set as soon as you hit a new level category, but it is still possible. Therefore, some players choose to wear their old sets for bonuses given by it, or if you would like, you can always just change for the salvage points set, which has no set bonuses but better stats. A general tip for players is that, you can change the set in a pack of 4-3-3. What do I mean? You can change your equip, hand, hat and outfit first to the next set, which gives you the 4 pieces bonus, and still keeping your 6 pieces set bonus from the lower level set. After which, you can change any 3 lower level set items to the higher level set, obtaining a 3 pieces set bonus, while maintaining the 3 pieces set bonus of the lower level set. Last but not least, just change out the lower level set for the 6 pieces set bonus. Let’s start by offline mode vs grinding mode. Personally, I felt that grinding mode was only really effective at the lower levels, preferably up to lvl 40. From then on, the experience gain is really slow in open field and I would rather just depend on the offline experience to give me my loots. Furthermore, as a VIP, you can choose to multiple your offline experience gains (2x for VIP 5, 4x for VIP 7) and VIP 3 above are able to gain equipment to salvage. You do not waste potions in offline mode, unless you are grinding in an open field with potions drops. Yggdrasil houses the hasse temple and X-server wars. These 2 features are relatively new to the game. Basically Hasse relic allows you to boost stats that are useful in PVP by using holy essence. It’s up to you to choose which buff you would like to prioritize, however it’s awfully cheap to do so, therefore just increase all. For hasse temple, you can get a free exploration every day, which you should always go get it. You get 3 looting chances everyday too, which allows you to loot from other players’ temple. Just do it on a daily basis to get holy essences to buff your hasse relic. For x-server wars, it was accessible when you reach level 50, and you can compete against players from other servers to win x-server credits. Credits will be calculated according to the X-Server War result, players can bet more to receive more credits. Those are used to purchase medal shard which is used to buff your medal and giving additional PVP stats. You should always try to team up with players around the same force value and level range; therefore it would try to match make the corresponding level range and force value for you. Within the level category the team belongs to, the system will then match teams based on the force of the player with the highest force. The matching process should 5 seconds. The levels of the matched teams should correspond to the levels within the level category. If no teams are matched, the system will look for teams located one Force Category below. (Lower Force) This process will take 2 seconds. If no teams are matched again, the system will look for teams located one Force Category above. (Higher Force) This process will take 3 seconds. If still no teams are matched, the system will look for teams located in all Force Categories. This process will take 10 seconds. If matching is in progress when the X-Server War time-slot is over, matching will be suspended, and a notification will pop out. Matching cannot be suspended manually. If player disconnects and re-connects during the matching process, by tapping on the “X-Server War” button, what’s displayed will still be the ‘matching state’ screen. Running out of closet space? Fret not. Introducing fashion album storage! This new feature allows you to store your spare fashion items using Fashion item entry mark. You can purchase those during time sales. Basically you consume 1 mark to store a spare fashion item in your closet, should you not want to equip them. This would remove it from your closet, and stores it in the album. If you would like to equip that fashion item, you can always just pay 50000 gold to withdraw. The best part would be, as you store additional fashion items, it gives bonus stats! Such as HP, MP, PATK, MATK, PDEF and MDEF. It is definitely a huge bonus if you’re into cosmetics and this is something you should look out for to increase your force while looking good.